Sleep apnea is one of the most common types of sleep disorders, which is characterized by having one or more pauses in breathing or shallow breaths while a person is asleep. Each pause in breathing is referred as “apnea”, and each apnea can last from a few seconds up to minutes. Apnea episodes can occur from 5 times to 30 times per hours, and can happen more than 200 times per sleep. Sleep apnea can cause a disruption in the quality of sleep, which can lead to excessive daytime drowsiness the next day. Sleep Apnea has three different types, the Obstructive Sleep Apnea (OSA), the Central Sleep Apnea (CSA), and Complex/Mixed Sleep Apnea. Obstructive Sleep Apnea – this type of sleep apnea is the most common type of sleep apnea and is caused by a physical obstruction of the airway, such as the tongue, and when the back tissues of the throat relaxes during sleep. Mixed Sleep Apnea – this type of sleep apnea is a combination of both Obstructive Sleep Apnea and Central Sleep Apnea. 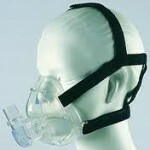 The person suffering from sleep apnea finds it hard to determine which symptoms he or she has. Since major symptoms that is associated with sleep apnea happens during sleep. The people or partner sleeping with the sufferer is the one that can help in determining and confirming which symptoms the sufferer has. Here are the symptoms of sleep apnea. Sleep apnea can be hard to diagnose, and often goes undiagnosed. Confirming the diagnosis of sleep apnea can’t be done during a visit to the doctor’s clinic, and there are no definitive diagnostic tests, such as blood tests, to confirm diagnosis. However, there are some tests that can be done to help in the diagnosis of sleep apnea. Polysomnography (PSG) – this type of test is considered to be one of the most important diagnostic test for sleep disorders. This test involves an overnight stay in a sleep center, where a trained technician will monitor the patient while sleeping, through Electroencephalogram, EKG, levels of oxygen in the blood, muscle tone, eye and extremity movements. 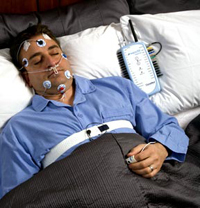 Overnight Oximetry – this is one of the simplest diagnostic test that can be done to help in the diagnosis of sleep apnea. This test involves wearing a probe on the finger or earlobe that continuously measures levels of oxygen and the heart rate overnight. Overnight oximetry can provide information if there have been episodes of loss or decrease of oxygen levels while sleeping.